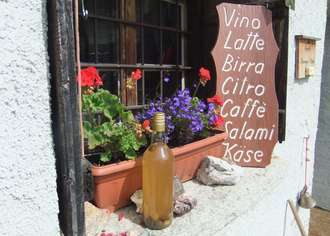 Like an eagle's nest, the Alp San Romerio lays 800m above Lake Poschiavo, at 1,800 meters above sea level. To the left in the East lays the Region of Veltlin, in the center the Poschiavo. 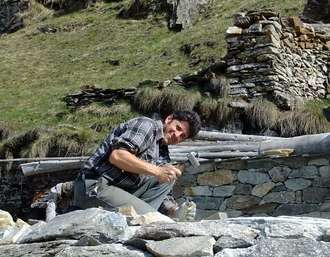 The locals in the valley say: Who ever walks around the church completely, will never be sick again! 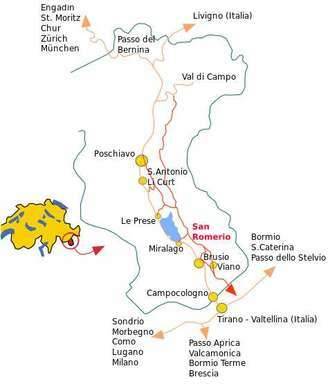 Dive into the big small world of Alpe San Romerio! 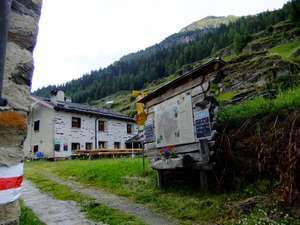 On a natural, beautiful hillside terrace with a view over the whole Puschlav valley you can, surrounded by the idyllic nature, enjoy the typical regional specialties in a simple setting in the mountain hostel San Romerio. For your well-being and a good nights sleep our Ristoro was built entirely from natural materials such as wood and stone. 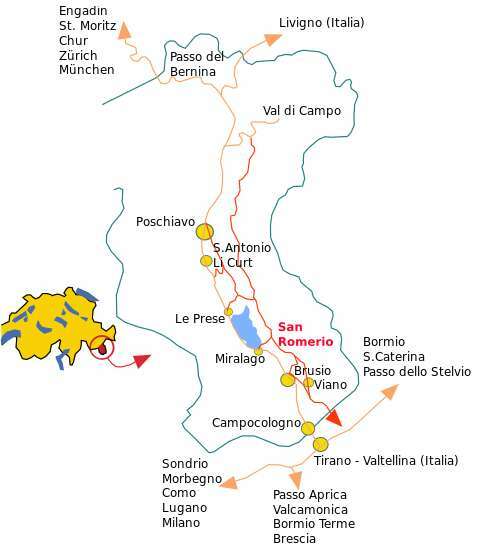 San Romerio is the ideal starting point for mountain hikes through valleys and to other refuges. Take a break on our spacious and sunny terrace, enjoy the warmth of the rays of the sun and replenish your energy in the infinite peace of this place. For groups or events there is a spacious dining room (80 seats) as well as a sun terrace available for our guests. We are open from May until the end of October and expect you here in San Romerio, where you can enjoy breathtaking nature and our exceptionally beautiful panorama. In our Ristoro we offer regional dishes and drinks, hearty specialities from the grill, homemade pasta and salads with natural herbs from our alps garden. Enjoy the wines from Veltlin from local wineries in the valley.